I had spoken to both these women at length before the trip. I knew that traveling to the Tzaddik was no ordinary adventure for either of them. I prayed that nothing would go awry. And now this. For one woman, this was her first time leaving the United States. She had always been a spiritual trailblazer, seeking Hashem’s truth despite living in an alienating environment. 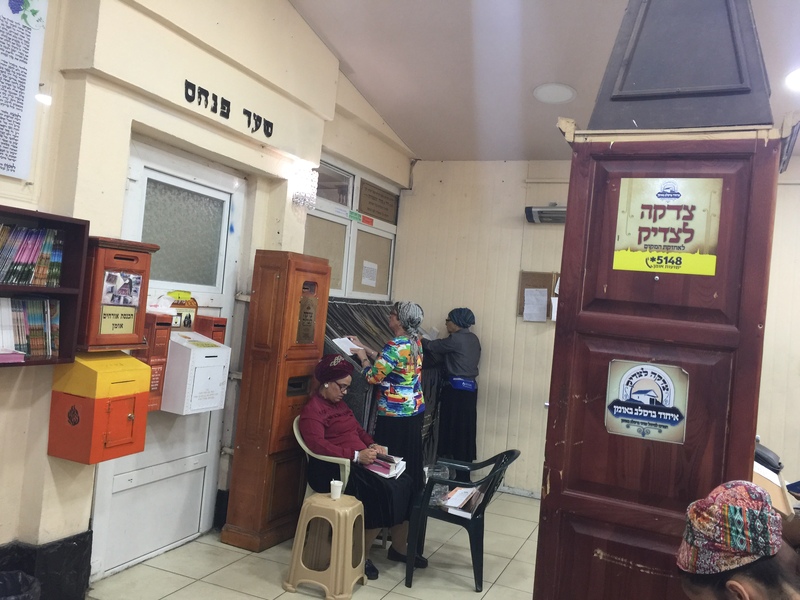 After Uman, she was planning a month-long visit to Israel. Everything for that stay was in her missing suitcase. The other woman had lost her beloved husband. He’d been her rock, she relied on him for everything. She had never traveled alone before. Still, she had tremendous reserves of emunah and joy. Both these women blazed through their fears and fueled their journey with emunah and grit. And they’d be facing it with just the clothing on their backs. Rebbe Nachman urged us not to wear stained, torn, or raggy clothing and encouraged us to dress respectably. Although the Rebbe was not concerned with “mere” externals, we must understand that clothing does often reflect the state of the soul. Therefore damaged, shabby, or immodest clothing (or extremely-fashionable or flashy clothing–the opposite of Breslov simplicity and humility), reveals more about our neshamas than we might expect. Clothing can indicate merit, too. The commentary on Parshas Shemos says we were led out of Egypt because we stuck to our Jewish names and language, as well as our unique Jewish way of dress. We learn from this that clothing has some spiritual substance. What does it mean if we lose our own clothing? It’s akin to losing our identity. In prison they take away your personal items, including your clothes. You wear a uniform and lose your individuality–you become a number. But, being without one’s personal clothing isn’t always a negative. A newborn arrives without clothing. She is born ready to receive. She takes her first gulping breath of the air of this world, and then begins to cry. She is immediately swaddled, the pressure of the swaddling cloth and the embrace of her mother overlapping, wrapping her in comfort. Her mother chooses her clothes, but one day, she’ll choose her own. The Other Side tries to destroy our desire to come close to Hashem. It tries to strip us of our emunah and bitachon. However, faith is largely a product of our own will. If we strongly desire it, we’ll make room for it in our lives. What did our two beloved sister-travelers lose? A part of their identity perhaps. Did that identity have to be stripped away (in part) to make room for a new identity? What were they seeking? What would they receive? Maybe they sought one of the things travelers to the Tzaddik search for: A stronger connection to Hashem. Understanding and meaning. Reinvigorated faith. Teshuvah and forgiveness. Self-knowledge and truth. Direction. Connection and belonging. Love. I’m not sure exactly when the conversation first began or who started it, but it was shortly after we learned that we’d all be traveling together, minus those two suitcases. It wasn’t hard to imagine how vulnerable our newly-met fellow travelers must have felt.I suppose each of us remembered how carefully we had packed–a favorite Shabbos outfit, a pair of comfortable shoes, a jaunty scarf, a silky tee. Most of us packed extras, too. Just in case. And that’s when the Traveling Uman-Women’s Boutique was born. One by one the rest of the women invited the two luggage-less sisters to their rooms to choose outfits. “Come shopping in my room,” said one woman. “Let me help you,” said another. When they finally appeared glowing in unfamiliar clothing, it was fun guessing who had given them this skirt, that top. We learned a lot about each other, too–who was tastefully coordinated, who packed enough for any eventuality, who loved bright colors, who was a minimalist. On Shabbos, these two were truly adorned in splendor as together we welcomed the Shabbos Queen. The love that went into helping them dress was evidenced by their elegant dresses. No skimping, no sense anything was second-hand or cast-off. The lost clothing was lost for all of us. It inspired us to come together and share, at the most basic level. After all, clothing is one of our most basic requirements, yet also, one of our delights. We also each found things, revealed to us by the Tzaddik, that we had all lost. One thing certainly found by all was an intense Ahavas Yisroel, love for each other. Twelve almost strangers, each as different, yet as related, as the twelve tribes. We all did strengthen ourselves in faith on this journey, in part because of the revelation of the Traveling Uman-Women’s Boutique. For more information about the BRI Experience for Women visit BRI/Breslov.org. This is such a beautiful piece. You carried the lesson of the “lost luggage” to a whole new level. I am so grateful to have been one of these 12 women to experience this journey of July 2017. It was truly the experience of a life-time. Thank you, Chaya Rivka !!! How you wrote the story of the Lost Luggage is so beautiful bringing out so many lessons and gifts for each of the 12 of us who were on this journey together. I guess the lost luggage was somewhat a unifier. This trip and the bonds that were made is for a lifetime. I am so glad I was a part of it. You are a beautiful articulator and writer. Thank you so much for putting the Lost Luggage story into words.